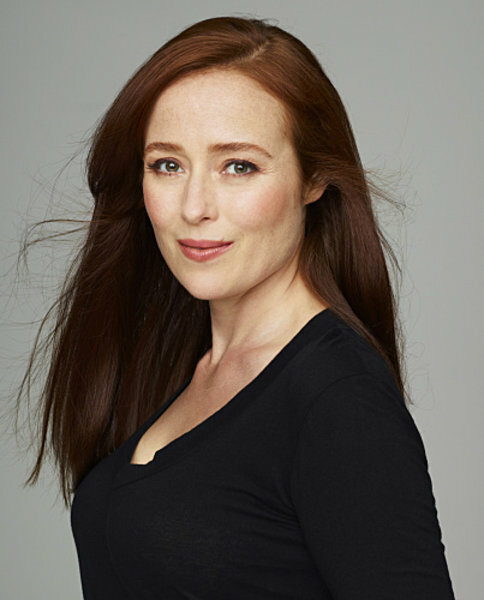 Truly a bi-national, Jennifer Ehle has spent about half her life in the U.S. and half in the U.K., not surprising since her Mom is a British actress and her Dad an American writer. Jennifer’s home town is Winston-Salem, North Carolina, where she was born in 1969, but she’s just as familiar with London (and Hollywood) as with the American southeast. Ehle is a veteran of both stage and screen, and more than once she and her mother, Rosemary Harris, have been cast in the same film and been nominated for the same award. At 44 Jennifer has quite a lot of experience in the acting business, so her role in the eagerly awaited and much-discussed film Fifty Shades of Grey isn’t nearly as surprising as some of the other cast members – though the subject/plot isn’t her usual fare either. Jennifer’s first West End appearance was in the 1991 production of Tartuffe directed by Peter Hall, and subsequently (in 1992) Hall chose her for the role of Calypso in a mini-series called The Camomile Lawn, in which her mother on screen was played by her real mother Rosemary. It was 1995, when Jennifer was 26, that she played Elizabeth Bennett opposite Colin Firth in the BBC TV presentation of Pride and Prejudice adapted from the novel by Jane Austin. For that performance she received the coveted BAFTA (British Academy of Film and Television Arts) award and that is probably the role most familiar to the over-30 TV generation. Ehle’s first feature film role was in Paradise Road, a 1997 movie starring Glenn Close that didn’t make many headlines. Jennifer continued to alternate between stage and screen, (both small and large screens) with the next big success in 2000, on Broadway, as Annie in Tom Stoppard’s highly praised and award-winning play The Real Thing. Jennifer’s performance in that play earned her first Tony award, for which her competition included Rosemary Harris – but the Emcee apparently had it right when he said before announcing the winner that mother and daughter each wanted the other to win. There is clearly a supportive attitude on the part of both actresses when it comes to family. Jennifer has also appeared at the Old Vic with Kevin Spacey in The Philadelphia Story and at Shakespeare in the Park as Lady Macbeth in Macbeth, but it wasn’t until 2007 that she received her second Tony award. That one was for another Tom Stoppard production, The Coast of Utopia, at the Lincoln Center in New York. The play got a lot of critical acclaim, with Jennifer one of the most highly praised cast members, playing three different characters in the drama. Other roles, as the speech therapist’s wife in The King’s Speech (2010) where her Pride and Prejudice co-star Colin Firth had the starring role, as Dr. 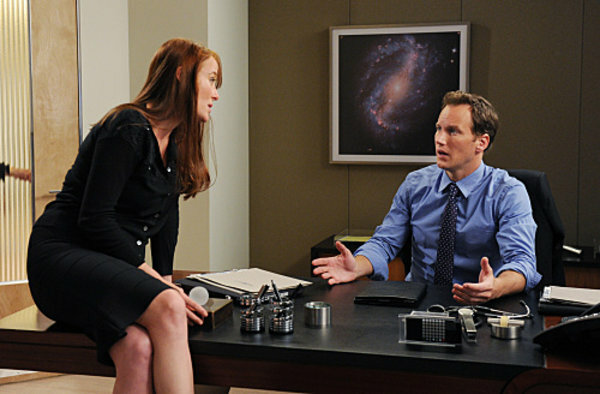 Ally Hextall in Contagion, as a CIA agent in Zero Dark Thirty and as Liz Kline in the 2014 remake of Robocop may or may not have led to her being cast in a rather peripheral role in Fifty Shades, but obviously she auditioned for the part, and got it. Now that filming for the movie is completed, audiences will just have to wait – for quite a while – to see the final result. There has been no widely published comment from Jennifer (or anyone else really) about the picture, though the rumour is that there will be two versions, one with a U.S. ‘R’ rating and one to be released a couple of weeks later with a rating of NC-17. Based on past performance, we don’t expect to see much of Jennifer Ehle in the U.S. NC-17 version, but the publicity can’t be bad for her future career. 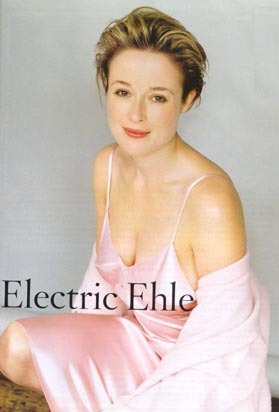 This entry was posted in Actress, Movie Biography- Filmography and tagged Fifty Shads of Grey star, Jennifer Ehle Fifty Shads of Grey star Biography, Jennifer Ehle., Kevin Spacey, The Camomile Lawn. Bookmark the permalink.